I received a copy of this book from Random House UK via NetGalley in return for an honest review. I have read a few Harlan Coben books before so I was looking forward to reading an upcoming novel from the same author. As a fan of the author, you never really know what is coming towards the end of the book, but I have always finished a book on a positive note. This novel is told through Nap who had a twin brother Leo, whom has died 15 years ago along with his girlfriend in an apparent suicide. This book follows Nap who learns that his girlfriend, Maura, who disappeared shortly after his twin brothers death, has popped up on the police radar and Nap leaves straight away to go chase any leads to her and find out the truth about his brothers death. Throughout the book, the main character refers to his dead twin brother a lot, almost like he is telling the story to his brother Leo, it makes it stand out from other books. As we follow Nap along his journey, we see him questioning himself as he learns more about the night of the suicide and he realises there were many things he didn’t know about his twin brother. Overall this is an enjoyable book. There are many characters in this book and you get to know them well along this thriller. 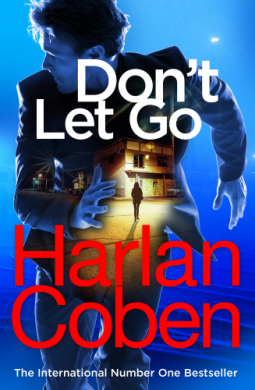 If you’re a fan of Harlan Coben, you won’t be disappointed, if you don’t know this author, pick up a copy when the book is released!